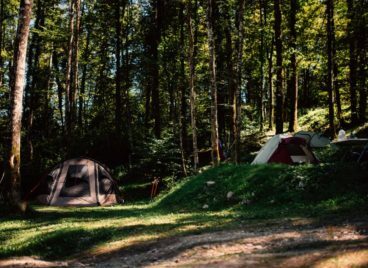 Campsite Rut – Kamp leži v mirnem predelu obdan z gozdom in hkrati v neposredni bližini mesta Kobarid pod vasico Svino. 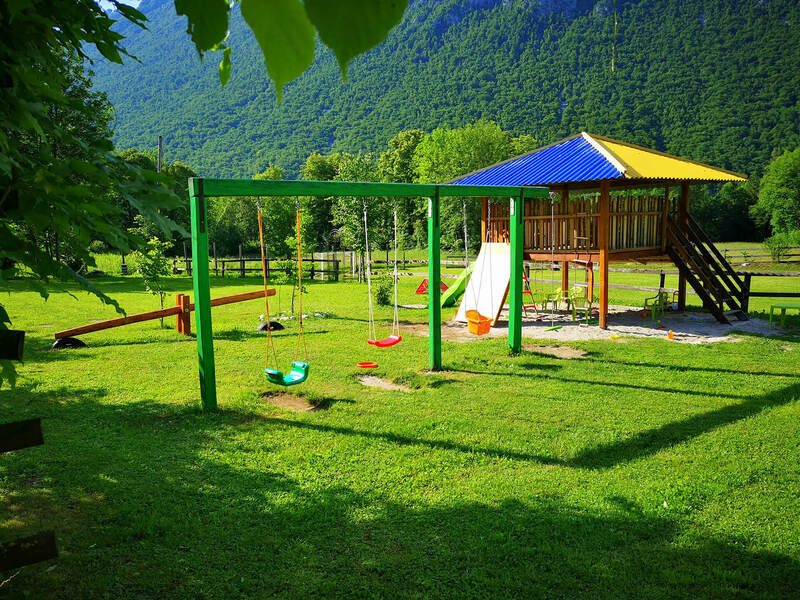 Kamp Rut is a small family camp, located one kilometre from Kobarid. It is surrounded by forest and mountains. It is an excellent starting point for hikers and cyclists. In addition to camping places, we also offer a holiday house and hostel rooms. We also have a sports and a children’s playground and a bar with refreshments. 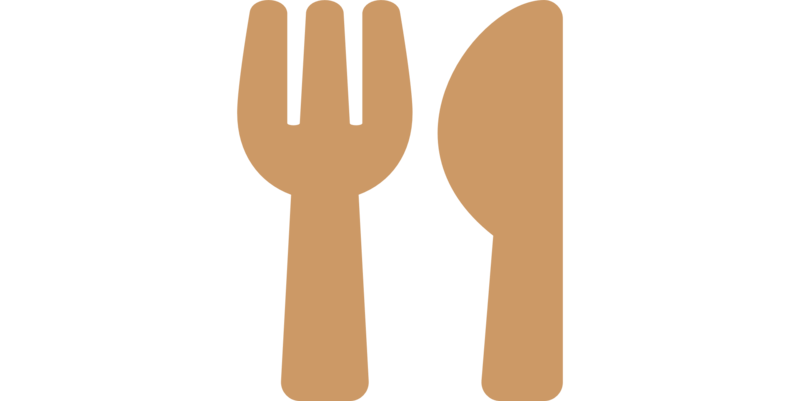 We offer breakfast and pizzas and in high season also dinners. 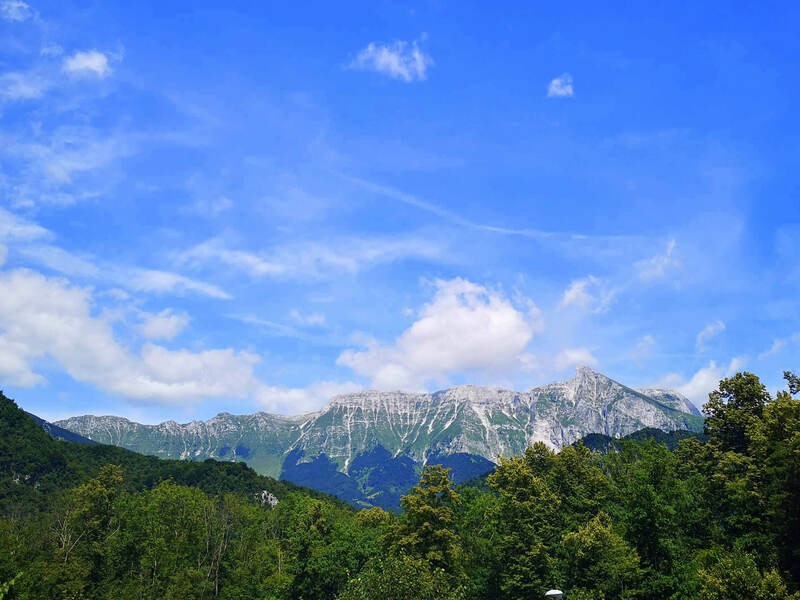 There is also a walking path from the camp to Kobarid. The path leads you past a bird watching place in »Kobariško blato« where grey herons nest. Then you cross a wooden bridge over the river Idrija and you are already in Kobarid. In the center, you’ll find several shops, restaurants and sports agencies that offer many activities. Our peaceful location and playgrounds are perfect for families with children. 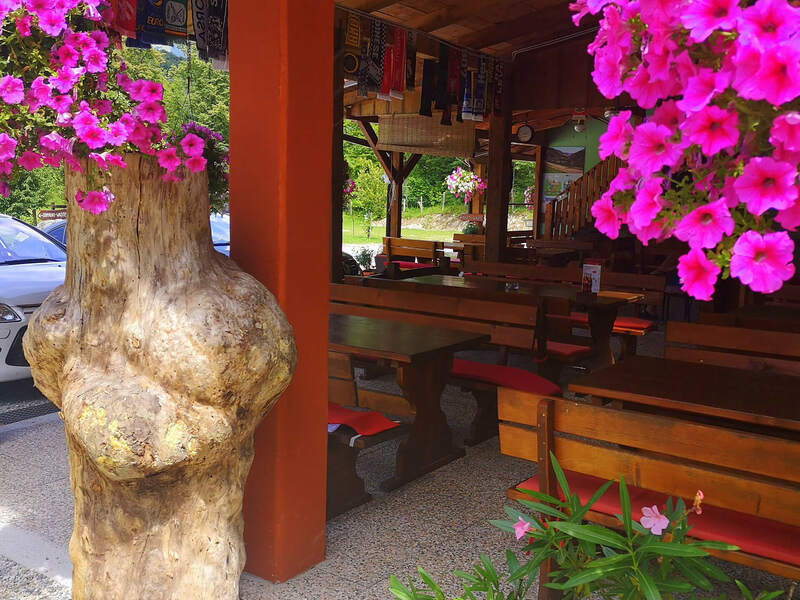 Breakfast with local products and during high season local dishes: frika, the Soča trout and the famous dessert “kobariški štruklji”. Fall asleep surrounded by forest and wake up to a beautiful view on the mountains Stol, Matajur and Krn. Take the cycling, hiking and learning paths that lead from the camp. Treat yourself with our special homemade breakfast. You won't be sorry if you rent our holiday house with a balcony that offers a beautiful view on the mountain Krn. There is a bedroom with 8 beds upstairs and downstairs you will find a kitchen and dining room with a couch and a TV and also a bathroom. If you prefer to sleep indoors, you are most welcome to stay in our hostel which accomodates up to 18 people. There are three separate rooms and one big room with bunk beds. You can also use a little kitchen to prepare your own meals. Nice starting point for hikers and cyclists. 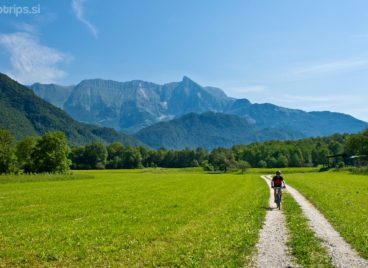 Several paths lead from the camp: a cycling path to the river Nadiža, a walking path to Kobarid (15 min) – with bird watching stops along the way, a path to the village Svino, which has an old church of St. Andrews’, a waterfall under the village, and a posibility of purchasing BIO products such as cheese, eggs, milk, etc. There is also Chamois’ learning path nearby which leads to old mills at the river Idrija. We arrived at Kamp Rut only intending to stay two nights but stayed for a week. The owners are such lovely people and go out of their way to help and make your stay as enjoyable and relaxing as possible. We stayed there for about 10 days and we were more than satisfied! The camp lies in a beautiful, peaceful environment – surrounded by forest. There is a waterfall nearby and also a bird observatory which our kids loved. Kamp Rut is a hidden gem. 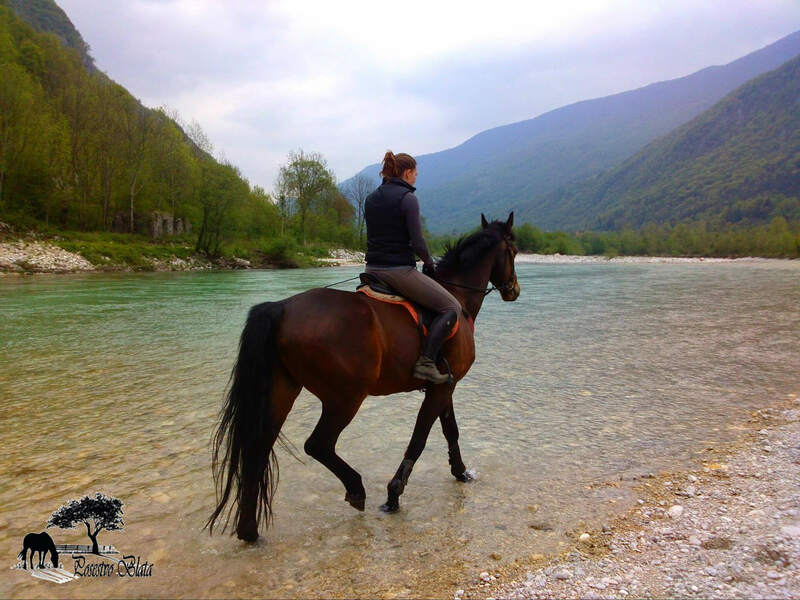 Quiet, nice views on the surrounding mountains and close to the treasures of the Soca river. We will surely return here!